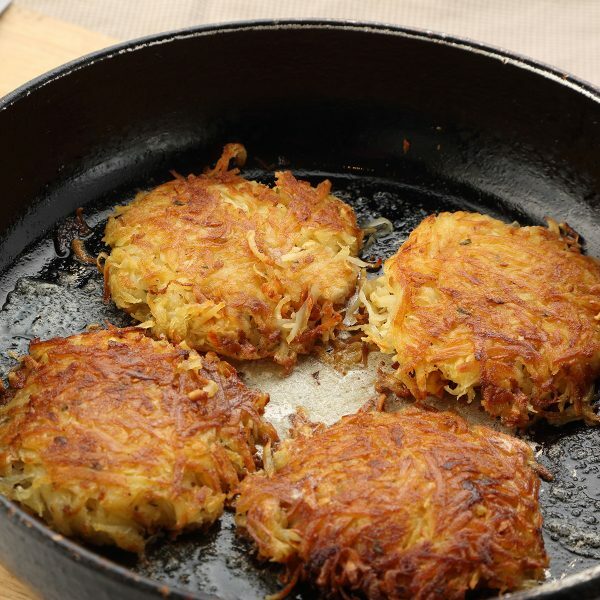 Potato and parsnip rosti - home cooked food delivered. The addition of parsnip gives a whole new level of flavour to this classic Swiss approach to potatoes. Crunchy where it counts, soft and comforting on the inside, and just an all-round delicious accompaniment to practically any dish you can think of. Potatoes, onion, parsnips, fresh thyme, unsalted butter (MILK), seasoning. Remove contents from packaging and place on a baking tray in a preheated oven at 190c for 10-15 mins or until piping hot.